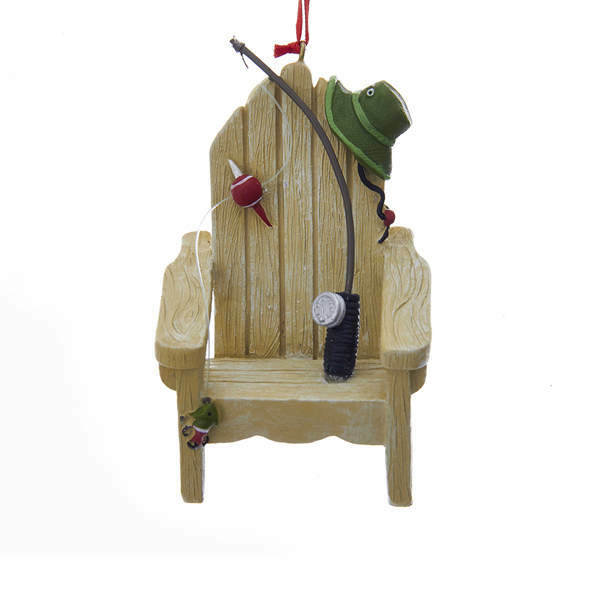 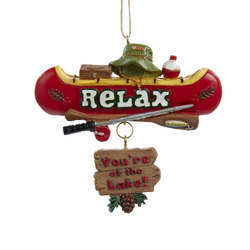 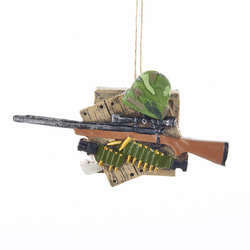 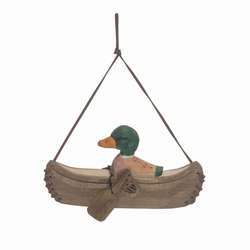 Our Adirondack Chair & Fishing Rod Ornament is perfect for anyone who enjoys relaxing days of fishing by a calm lake, river, or stream. 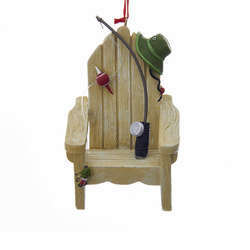 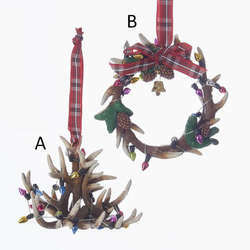 This decoration includes everything a fisherman or woman needs, a rod, reel, bobber, tackle, a comfy chair, and a festive hat! 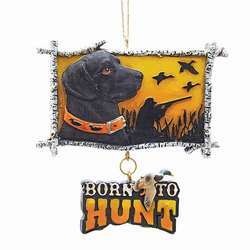 A red ribbon is already attached to this ornament, so it's ready to hang on your tree! 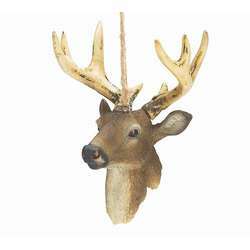 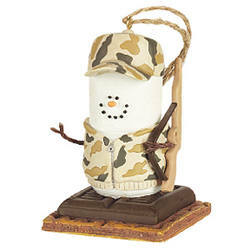 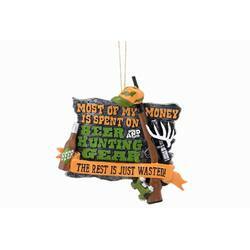 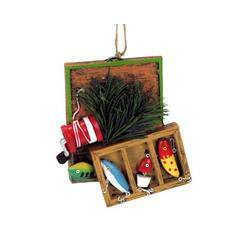 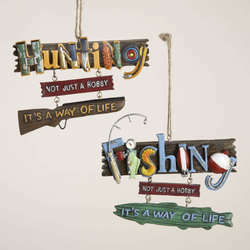 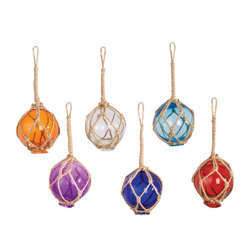 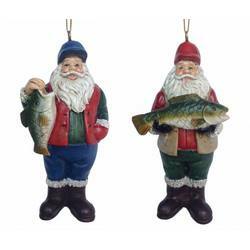 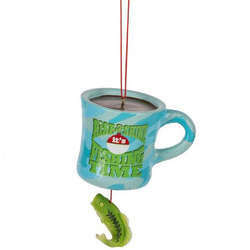 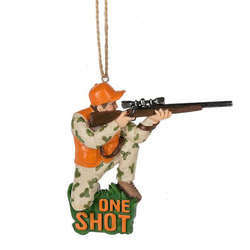 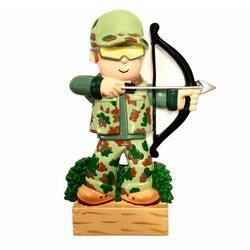 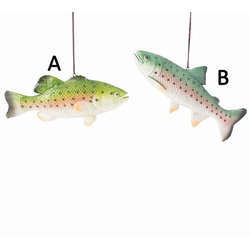 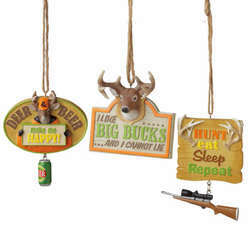 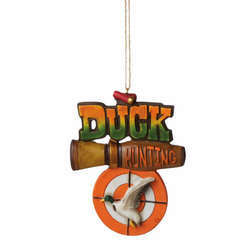 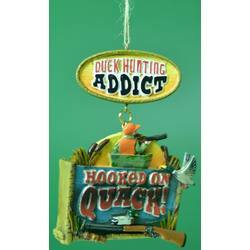 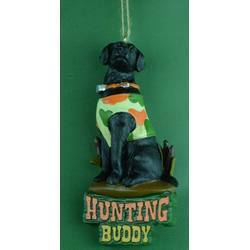 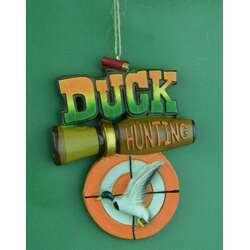 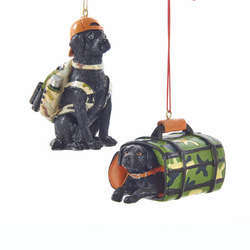 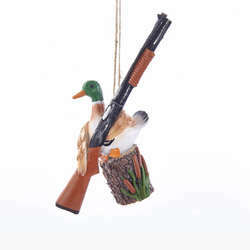 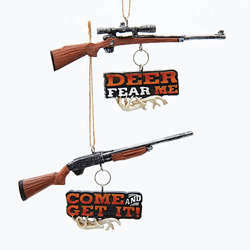 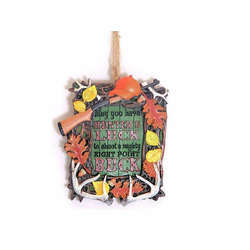 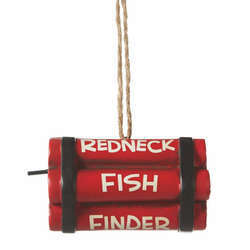 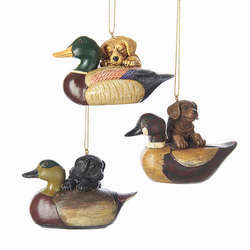 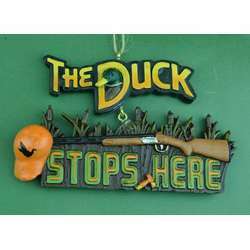 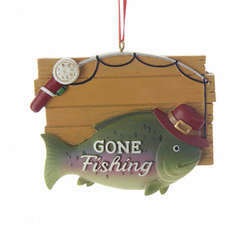 If you're ready to reel in the big one, be sure to check out the rest of our Fishing Ornaments too! 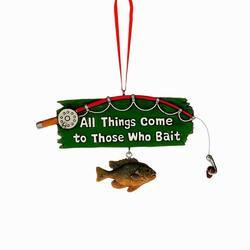 Everyone will love hearing all about your fish tale!